We may have spent seven months in Africa this year, but we just experienced one of those crazy African borders at the Kazungula ferry. We finished up our time in Botswana and making our way north through Zambia. For the next month we will be hopping between Zimbabwe and Zambia! 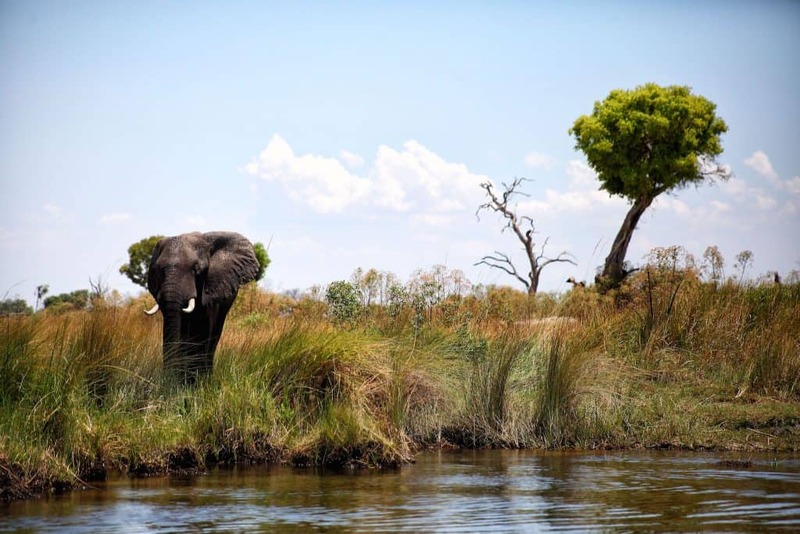 We had an amazing time exploring the Okavango Delta and Chobe National Park, but there was one thing that had been looming over our head – the Botswana/Zambian border. The hectic Kazungula border crossing and ferry are notoriously soul sucking. We knew self-driving over the border would go one of two ways – easy peasy or painstakingly difficult. A few days before we were set to cross, we were hanging out at the Old Bridge Backpackers in Maun chatting to a few Zimbabweans about our adventure. We told them we were heading to Zambia and Zimbabwe next with Charlie and they explained that we absolutely needed a police clearance to drive into those countries. A police clearance is a certificate stating that you own your car, it is not stolen, and that you can drive it over borders. Police certificates should be issued from the country your car is registered from, a big problem for us since we are not allowed back in South Africa. I had never heard of this Police Clearance before, but we’ve been having a decent amount of trouble as self-drivers with our car in Africa so we didn’t want to take anything to chance. We went to the Maun Police Office and showed them our papers and asked them for a police clearance. It was a weekend and this is Africa so they wouldn’t issue us one, but they assured us that we would be fine and we had all the right papers for our car. In case you missed it we bought our own car in Cape Town but had to register it under a friends name because we couldn’t obtain a TRN as foreigners. So we have the proof of purchase, registration, and a power of attorney over the vehicle. There is nothing explaining what exactly we will need to cross borders anywhere…this is Africa after all. (I wonder how many times I will say that in twelve months?) Since there is so much vagueness about regulations in Africa we have no choice but to trust the locals or ask in Facebook groups like these online. We woke up at 5:30 am and made our way to Kazungula border with our papers and Charlie in hand. 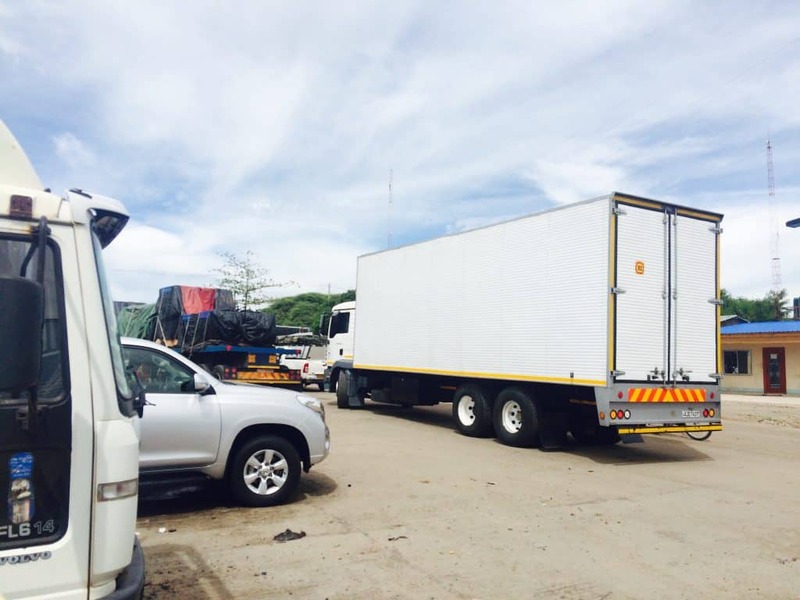 There are semi trucks lined up for days outside the border waiting to get cleared for the Kazungula ferry, but private vehicles can drive right past them to the border. Needless to say, this land border is the most chaotic I have seen but since it is the meeting point between Zimbabwe, Botswana, Zambia, and Namibia it should be expected. Welcome to Africa, I thought as we drove up. Long gone are the easy days of driving around South Africa, Swaziland, and Namibia. Oh no – we hadn’t seen this part Africa since our wonderful month in Mozambique. This is what we came here for, why we created “Hashtag Africa,” and why we spent a small fortune to buy a Land Cruiser. We’re doing this. There were touts and buskers everywhere as we pulled up to Botswana immigration office. Cam and I, therefore, decided not to leave the car unattended at this border crossing. This proved to be a very good decision as during our whole three hours at the border, no one ever left the car alone. The first step was stamping out of Botswana – child’s play. Then came the hard part of getting the car out. Cam showed immigration the papers first, and because he didn’t have a “police clearance” like we feared they wouldn’t let us out of the country. I was in no way expecting this problem actually leaving Botswana. He came out frazzled an hour later after being turned around multiple times. Police clearances can take days to sort out and sometimes have to be done in the cars registration country. I decided to try my luck while Cam stayed at the car. I went into the bustling office and made my way to the youngest, nicest looking woman in the room. I claimed that I was confused as to how I can get my car out of Botswana and told her I had all my papers. She looked at my papers briefly and stamped the car right on out. There is no proper system in Africa – so don’t ever give up. We left Botswana and made our way to the Kazungula ferry crossing. Every runner around is begging for your attention and attempting to “help” you out. Unless you want help then don’t bother talking to him or her. We had one drunken guy hanging around our car the entire time asking for money. He had red and white reflective stickers that he wanted to sell us for 200 Kwacha ($20). These are mandatory in Zambia/Zimbabwe, but there wass no way in hell we would ever pay that much for stickers. We kept telling him to leave our car and us alone. I knew from the get-go this wouldn’t be easy. Once we stamped out of Botswana and got to the ferry crossing we found two ferries to choose from. 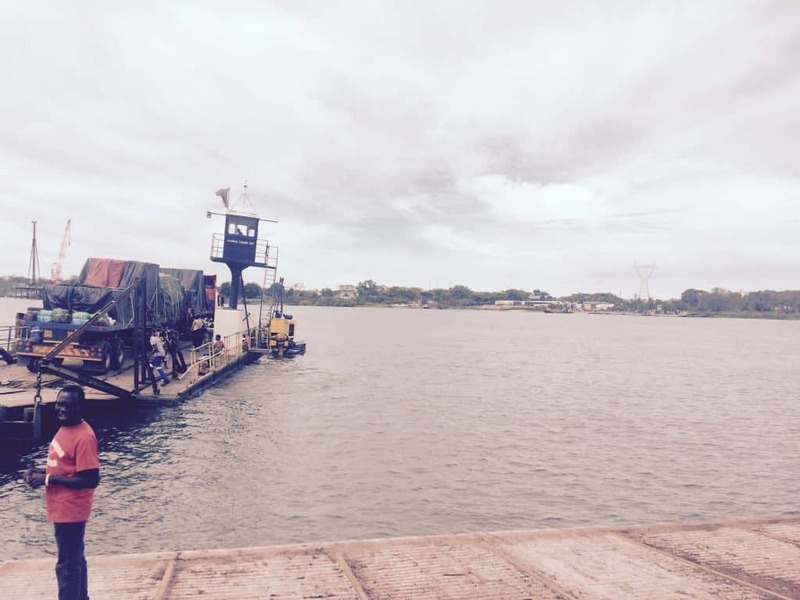 There was a Botswana ferry marked by the Botswana flag or a Zambian ferry marked with a Zambian flag. The Botswana ferry cost 200 Pula (about $19) and the Zambian ferry costs 150 Kwacha (about $15). We were carrying USD and with an almost 10:1 ratio on both currencies and no line for either ferry we took the cheaper Zambian vessel. However, I would recommend taking whatever ferry is quicker. Mr. Drunk Red Shirt man decided to follow us and slapped stickers on our car while we weren’t looking. This infuriated me and I kept asking him to stop and to leave us alone. He told me that “my husband” told him to do it, and he told Cam that “his wife” told him to do it – both of us knew this was not true. Don’t let them fool you with this, as it is obviously a scam. We tried hard to ignore Mr. Drunk Red Shirt for the remainder of our time at the border. 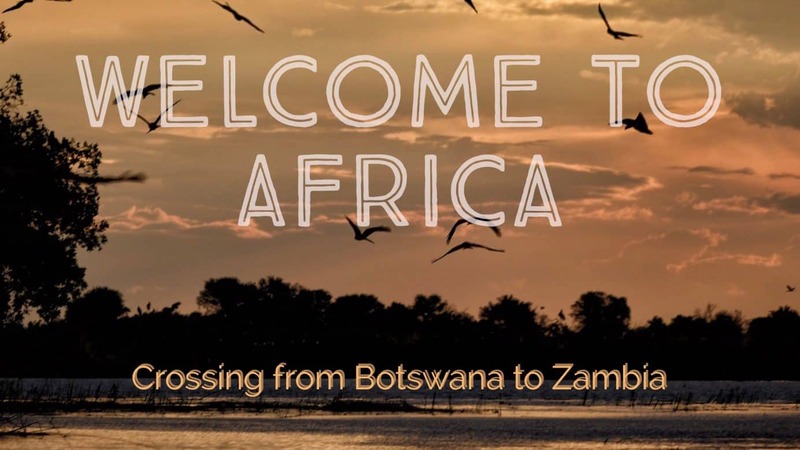 After reading about a few of similar from Maggie in Africa about the Kazungula Border Crossing we decided it would be much easier if we hired a fixer on the Zambian side to sort us through everything. We found a helpful (sober) man with his own “agency” to help us out. He initially asked us for 200 Kwacha, but I was not paying more than 150 Kwacha so eventually, he took that rate. Always know your currency and exchange rates before getting to the border. I guarded the car while Cam spent the next hour sorting out the carbon tax, third party insurance, visas, road tax, and council tax. Together, the two of us spent about $280 entering Zambia with our car – in other words; it was a very expensive day. A single entry visa into Zambian will cost Americans $50 payable in USD. We needed a double entry valid for 90 days. The double entry cost us $80, but make sure they fill out your visa right. The customs official I went to got my first and last name switched and I had to ask him to redo it. The next biggest fee was our third party insurance, which cost us $50. There was no information on this, so I have no idea if this was the correct price or if we were taken for yet another ride. We did find out later that we could have negotiated this price down, but with little to no information, we had no idea that we could do this. We paid 200 Kwacha – payable in cash only for an engine over 4000 cc. This was the most expensive option and engines with less cc cost less. $20 for South African registered vehicles. We paid our fixer $12. In hindsight, we are not sure if it was a good idea or worth the cost. He certainly made things easy at a very confusing crossing. However, we probably could have figured it out ourselves by spending more time at the border. We had to show all of our paperwork for the car and we were not asked for a carnet or for a police clearance certificate on the Zambian side. All they needed was the proof of ownership (in our case a Power of Attorney letter) and registration papers. Our fixer had collected all the fees and told us we owed him one lump sum in USD at the end. Our fixer had “loaned” us the Kwacha that we needed for the Carbon and Council tax. He initially gave Cam a 7:1 exchange rate (Kwacha to USD) and claimed that was the correct exchange rate. Another scam – I guess he didn’t realize we were Americans yet and knew the correct dollar amount. We knew that it was 10:1 ratio and that he was just trying to rip us off. After some mild bartering, Cam got him down to proper exchange rate. We ended up paying our runner a grand fee of $12 ($2 more than I had agreed to) to organize all of the Zambian paperwork for us. We saw groups of people that had entered the border crossing before us trying to sort out their vehicles themselves and I want to note that they were still there when we left. In fact, they were only at the first stop in the immigration process. So, depending on your level of patience and time I would recommend spending the money and hiring a local to save you from a headache. Finally, we had our paperwork and were on our way. But not before Mr. Drunk Red Shirt man made one last attempt to harass us for 200 Kwacha for the stickers he slapped on our vehicle without asking. We ended up giving him $2 to make him just go away, but he made our three hours much more difficult and annoying in both Botswana and Zambia. Although the border was difficult and left a big dent in our wallets we were heading to one of the most beautiful places in Africa – stay tuned. We expect this to be one of the worst borders we cross in Africa – fingers crossed! Watch your things and your car. We are driving a big Land Cruiser and just about every Joe Schmo was eyeing the car. Maybe the thought it was a cool car (because it is!) or maybe they had other ideas. Either way, I’m happy that we were able to always have one person at the car while the other was able to do things. The biggest thing for us was that our car is registered in someone else’s name and all we have is a Power of Attorney letter giving us legal rights over the vehicle. 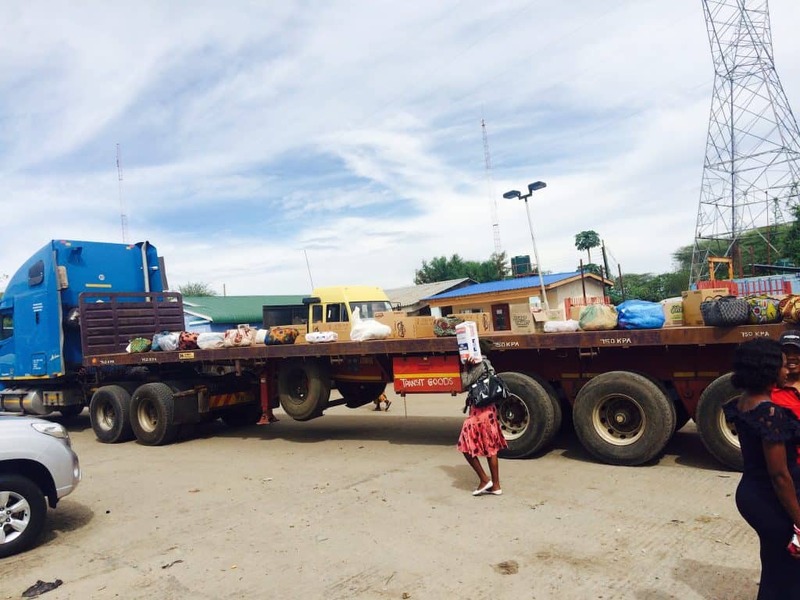 I believe that if you outright own your vehicle and have all the papers or are heading back into Botswana within 30 days it will be a much easier time. There doesn’t seem to be many hard-set rules here. As the case for Cameron getting turned away and denied crossing, while I was able to smoothly get all the paperwork stamped. Plan to be at the border for at least 2 hours. Arrive early in the day for the quickest turnaround. There are a few banks and Bureau de change offices in Kasane town to get USD for the border. They were not issuing Kwacha at this time of writing, but you may be able to get a local to do this for you at the border for a very bad exchange rate. Note that currency that will come in handy here are USD, Pula, and Kwacha. No South African Rand will be accepted. There is also a Barclays Bank and a few independent change Bureaus in Livingstone should you have any cash that you need to swap. We found a Barclays bank in the Avani shopping center right near the Vic Falls Bridge that gave a good rate and you could pull USD out with a card with the teller.